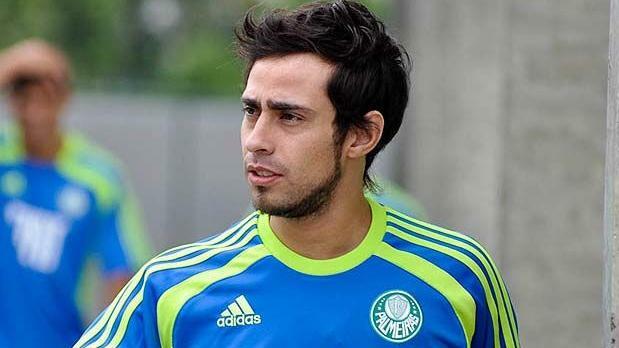 Today (Tuesday), Palmeiras’ player squad was reunited after the end of the year holidays. Absentees included defender Fabrício (returned to his mother club Flamengo) and Lenny, Daniel Lovinho and Maurício (on loan to Figueirense, América-MG and Portuguesa respectively). A group of 16 conducted light muscular training and a bit of jogging around the pitch: Marcos, Bruno, Deola and Fábio (goalies); Danilo and Maurício Ramos (defenders); Edinho, Marcos Assunção, Pierre and Márcio Araújo (defensive midfielders); Valdivia, Lincoln and Tinga (creative midfielders); and Luan, Kleber and Tadeu (strikers). Edinho and Danilo are likely to leave soon (for Fluminense and Bari/Italy, respectively). Another group of 12 will start physical activities only tomorrow: Bruno Oliveira, Carlão, Vitor, Ewerthon, Julio Cesar, Leandro Amaro, Luis Felipe, Patrik, Alemão, Rivaldo, Dinei (having signed with Palmeiras for an additional six months) and Vinícius. Finally, there are 7 players returning to Palmeiras after having spent time in other clubs: Fabinho Capixaba, Wendel, Souza, Luis, Deyvid Sacconi, Jorge Preá and Willian. They are all destined to leave Palmeiras quite soon, as coach Scolari has expressed little desire in keeping them; the chaps will be training separately from the rest of the squad. Previous Ronaldinho Gaucho: a possible turn of events?